PAT LEWIS COMICS & ILLUSTRATION---Get Your Read On! EVERYBODY LOVE THOG - The prehistoric adventures of everybody's favorite cave-teenager, Thog Rockelstein, and the cave-girls who love him. THE LONELIEST DRAGON - Drawn for the annual Wide Awake Press FCBD extravaganza, here's a family-friendly tale of a solitary dragon and his quest for happiness. 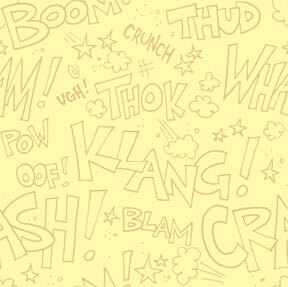 CRAGMORE (PREVIEW) - The first chunk of my graphic novel in-the-works, CRAGMORE. It's a story about a billionaire, a near-death experience, the devil, and--oh, you know what? It's easier if you just read it. Take a look! THE GREAT AMERICAN WHISTLE-STOP ZOMBIE FLIM-FLAM OF 1912 (PREVIEW) - Here are the first two pages of a George-Romero-meets-The-Music-Man story I did for BOOM! Studios' "Zombie Tales" anthology series. The full story appears in issue #10--look for it in stores! MONSTER - The frontman for the Austin-based rockers Asylum Street Spankers wrote these lyrics for their children's album "Mommy Says No!" and I adapted it to comics form for an anthology he's putting together. BURT AXLEY AND THE MEN OF LOGGING CAMP ALPHA - This tale of the Northwest's strangest lumberjack was rejected (or at least ignored) by "Disney Adventures" magazine. Fortunately, my standards are lower than theirs so I'm putting it up here for kids of all ages to enjoy! WEB OF REVENGE - An unorthodox, unlicensed, fan-comic starring one of my favorite superheroes! Someone's got it in for J. Jonah Jameson, and only your friendly neighborhood web-slinger can set things right. Go get 'em, tiger!